The Huffington Post, launched in 2005, is an extremely popular news website and blog, with both localized and international editions. The website, which attracts more than 30 million readers each month, focuses on a wide range of topics, including news, business, politics, entertainment, culture, lifestyle, media, health, women’s interests and technology. Content on the site is created by a group of regular contributors, and they also have a large number of bloggers, from celebrities to academics, who each contribute to topics related to their area of expertise. 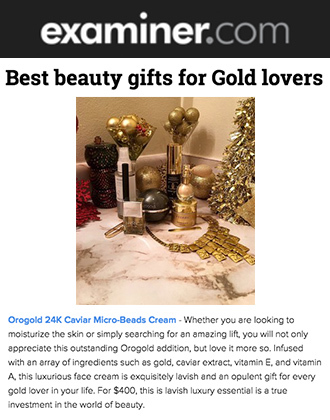 The editor goes on to state that “one of [his] favorite enzyme scrub peels is the 24K Deep Peeling by OROGOLD [because] this one actually works!” The editor also mentions the OROGOLD 24K Multi-Vitamin Deep Peeling, as well as the OROGOLD 24K Bio-Brightening Complex Peeling, as they are both “also capable of heavy lifting”. 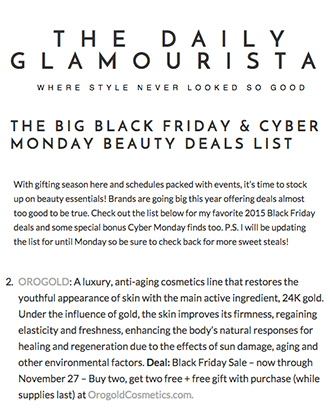 The post then goes on to state that while the line may be slightly pricey, the results are most definitely worth it. 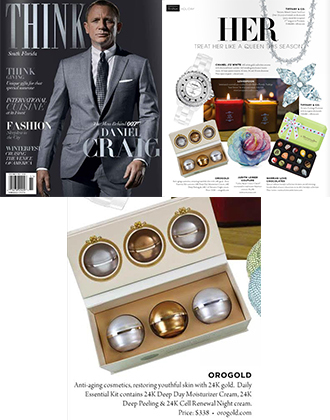 OROGOLD would like to thank the Huffington Post for featuring our deep peeling products. 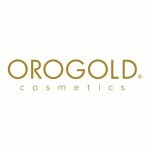 For more information, as well as for product demonstrations, please feel free to pop into your nearest OROGOLD store.